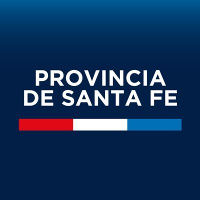 The Province of Santa Fe is located in the Central Region of Argentina. By population and production, the province ranks among the top three, together with Buenos Aires and Cordoba. With a total area of 13.3 million hectares and the 849km of the Parana River running along the eastern border, Santa Fe was granted a territory rich in natural resources and social diversity. Witness of key historical events, the province provided land to the first foreign settlers in Argentina, the first battle for independence, the birth and signing of the National Constitution. Its active involvement in the history of the country and its geography have provided for a sound, dynamic economy based on agriculture, ranching, manufacturing, metalworking and etrochemical industries. The main urban centers are the capital of the Province, Santa Fe de la Vera Cruz and the city of Rosario, the second largest in the country. These two cities are on the Parana River and concentrate 53% of the total population (3.2 million). Their architecture, culture, nightlife and dinning options attract many visitors. Recreational fishing and river activities also attract tourists to the great landscape of the Parana River. The Province is on the territorial and productive axis of Mercosur. It features international road connections through two bioceanic corridors and the Parana-Paraguay Waterway, which gives Santa Fe a privileged geo-strategic location. Santa Fe plays a leading role in agriculture and ranching. It features an expanding manufacturing and a significant infrastructure for road and river transport, excellent tourism services, pioneering knowledge as well as science and technology innovation. From the North, via National Routes Nos. 11 and 95, and the Provincial Route No. 1. From the East, through National Route 168. From the South via National Routes Nos. 11 and 177, Provincial Route No. 70, and the Rosario-Santa Fe Highway. From the West via National Routes Nos. 7, 8, 9, 19 and 34. The province also has two airports: Sauce Viejo Airport that meets the demands from the entire urban area of Santa Fe Capital City, from neighbouring towns and Gran Paraná; and “Islas Malvinas” Rosario International Airport, which is used by the Gran Rosario and neighboring towns of the South of the province.